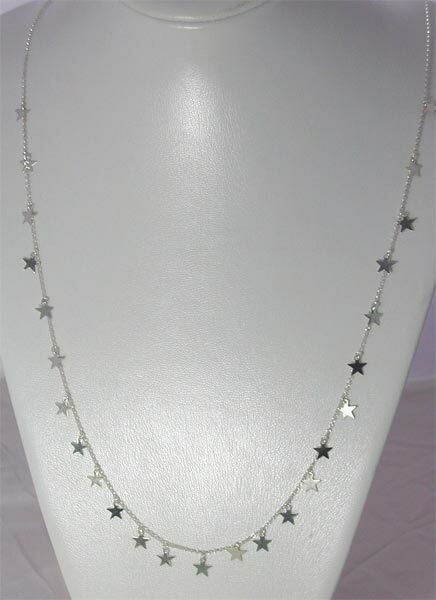 Long necklaces are forever popular, so I have combined a long necklace with a key trend this season, stars. This very light and delicate necklace is 34" long and made of sterling silver chain(the necklace has been shortened in the picture for display purposes). 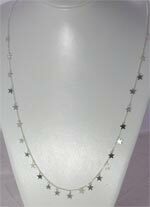 18" of this chain has been embellished with 8mm metal star charms.As you can see the seem to shimmer from dark to light making this necklace perfect for evening wear, especially combined with that little black dress.